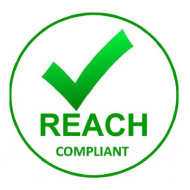 As an embedded technology provider that has been around for almost 20 years, we of course comply with all the major standards. 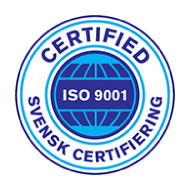 Embedded Artists as well as all our production partners are ISO 9001:2015 certified. We believe in high quality and see it as a failure if a product is returned to us. Embedded Artists is fully certified according to the environmental management standard ISO 14001:2015. 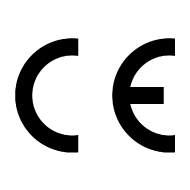 Compliance with the CE marking is mandatory for many products sold within the European Economic Area (EEA). As a European company as well as a company who sells products worldwide all Embedded Artists products comply with the EC directives required for using the CE marking. There are separate CE Declaration of Conformity (DoC) documents on each product page. Directive 2011/65/EU on the restriction of the use of certain hazardous substances in electrical and electronic equipment (RoHS 2) came into force throughout the European Community on 2nd January 2013. The purpose of this directive is to restrict the use of lead, mercury, cadmium, hexavalent chromium, polybrominated biphenyls (PBB) or polybrominated diphenyl ethers (PBDE) within electrical and electronic equipment (EEE), thereby contributing to the protection of human health and the environment. RoHS 2 is a European Union (EU) Directive, however, manufacturers of electrical and electronic equipment outside Europe must also abide by this legislation if the equipment they produce is ultimately imported into an EU member state. Embedded Artists AB is fully compliant with this directive. 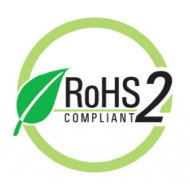 Unless otherwise stated, all products that we supply are RoHS 2 compliant. The CE mark is the only mark on our products which attests the conformity of the product with the requirements of RoHS 2. Directive 2002/95/EC Waste Electrical and Electronical Equipment, WEEE, is often applied to the electronics industry. According to Swedish authorities Embedded Artists’ products are WEEE exempt. However since a sustainable society is very important to us, Embedded Artists takes responsibility for the entire product life cycles of our products, including their correct recycling and disposal. 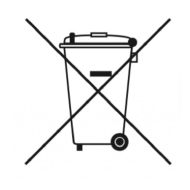 When the bin symbol is found on our product packages, it means it has to be recycled as electronical waste. Embedded Artists offers to take care of and recycle hardware bought from us. If anyone wants us to recycle the electronical products bought from us, please use the contact form to contact us. On December 18, 2006, the European Parliament and the Council of the European Union adopted a regulation on chemical substances, titled Registration, Evaluation, Authorization and Restriction of Chemicals (“REACH”), EC No. 1907/2006. The aim of REACH is to improve the protection of human health and the environment through the better and earlier identification of the intrinsic properties of chemical substances. On August 22, 2012, the U.S. Securities and Exchange Commission (SEC) adopted a rule mandated by the Dodd-Frank Wall Street Reform and Consumer Protection Act requiring companies to publicly disclose their use of conflict minerals that originated in the Democratic Republic of the Congo (DRC) or an adjoining country. Embedded Artists is working with our suppliers to make sure no conflict minerals are used.